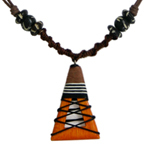 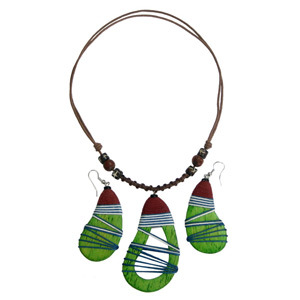 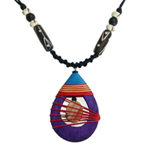 Thai artisan Benjamas Siriraungkeaw handcrafts this charming jewelry set with dyed kapok wood. 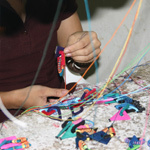 She wraps them with nylon cords. 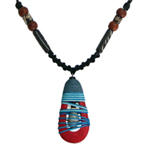 The necklace length can be adjusted by sliding the knots on the string. 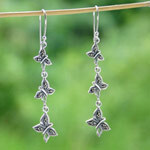 The earrings hang from stainless steel wires. 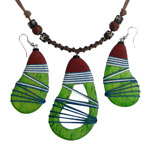 Materials: Kapok wood, resin, nylon and stainless steel.